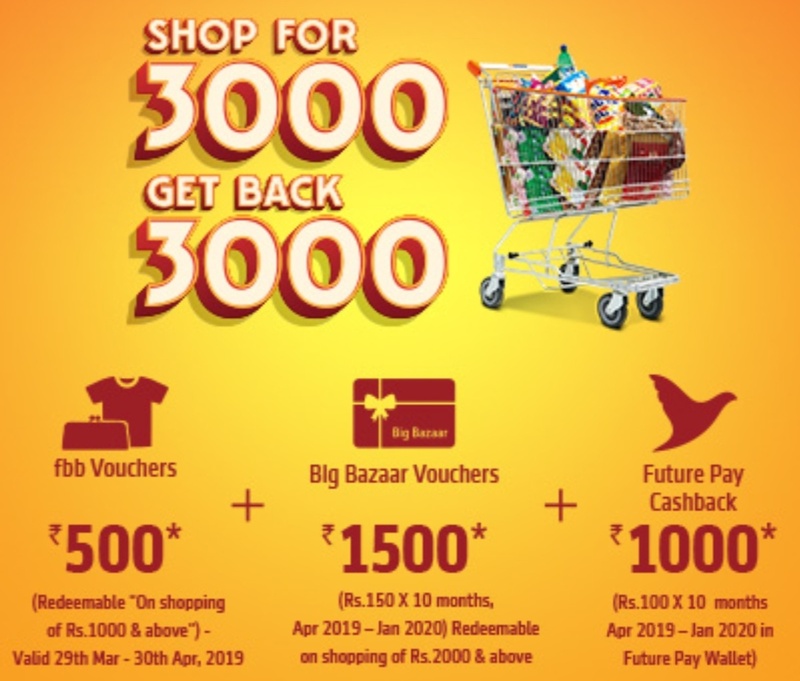 Big Bazaar Free Shopping Weekend – Hi Guys, Summer Has Started & Big Bazaar Has Comes Up With Free Shopping Weekend Offer. 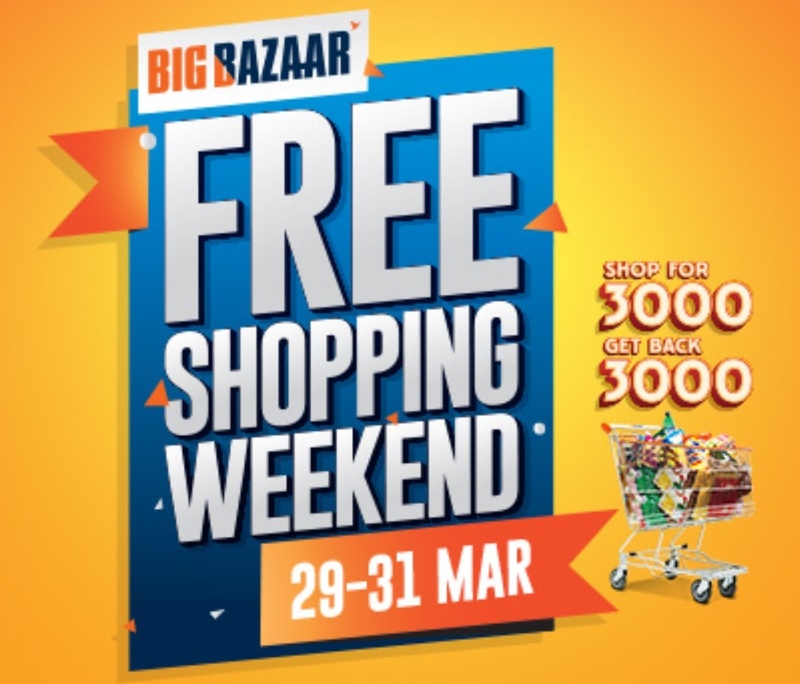 They Are Giving Away Free Shopping Worth Rs.3000 Deal in Thus Shopping Weekend in March. Big Bazaar is Regularly Organizing The Free Rs.5000 Shopping & Now They Are Giving Away Free Rs.3000 Shopping On Shopping Weekend Days. 1. First of all Register for the deal by Clicking here. 2. Enter your details and city in which you will be buying and click submit. 3. You will be registered for the deal. 4. Now download Future Pay Wallet from here and Sign-up or Sign-in if you already have an account. 6. So if you add All the cashback that means you are getting the Jean’s absolutely free.